The UK authorities have paroled a notorious former Afghan warlord Sarwar Zardad Faryadi whose return has revived memories of the country’s bloody past and has sparked concerns about the future. Zardad landed in Kabul on December 14 after serving 11 years of a 20-year prison sentence in the UK. The man was symbol of horror in the 1990s as his armed men would abduct, torture and even kill ordinary passengers, government officials and aid workers at various points between the capital Kabul and eastern city Jalal Abad city. It is not clear yet if the recently inked peace deal between the Afghan government and the Hezb-e-Islami Party with which Zardad was affiliated, has played a role in this development. The Afghan government and the society, however should be very candid in this process of allowing convicted criminals a second chance. The country’s past is littered with blood and marred with ethnic strife. It is true that some of Zardad’s compatriots of those dark days got away with their crimes and were even glorified as ‘heroes’ but, the young generation of Afghans needs not to turn back the clock in search of leaders and ideals if they want to build a new nation. The relative peace, thanks to the international community’s engagement, has given birth to so many new Afghan stars in every corner of the country that should be praised as national icons instead of those who have blood on their hands. Afghans need not to forget people like Mohammad Jawaz Khan of Khost who hid the death of his daughter on the day of elections so that the villagers can go to vote instead of losing this important opportunity by mourning with him. Young Matiullah Wesa who has opened more than 30 schools in the restive Kandahar province. Lt. Niloofar Rhmani, Afghan Air Force (AAF)’s first woman pilot in more than 30 years. Saber Hussaini of Bamyan who has been on his bike for months, distributing volumes of children’s books in villages. 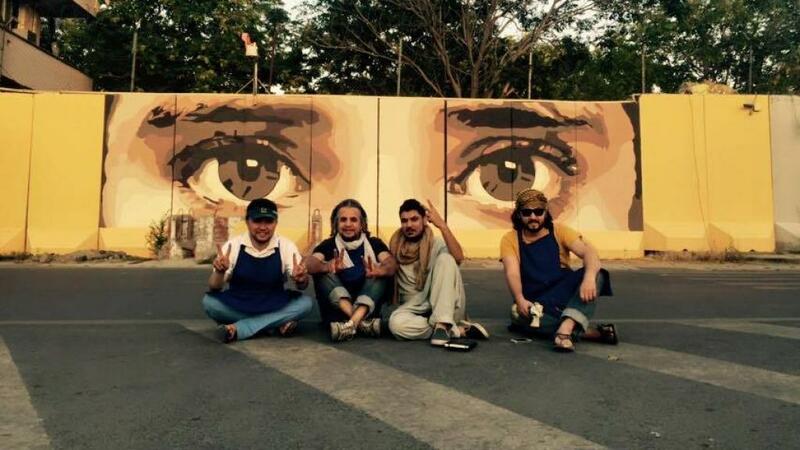 And, young men and women in the capital Kabul associated with the ‘Art Lords’ that is painting murals for social awakening, and changing the face of the Afghan capital. *All photos courtesy of ‚Art Lords‘.